You might think a rat is a rat, nothing more, nothing less. But there are different types of rats. 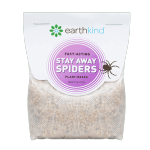 If you’re battling an infestation, you should know what you’re up against. Roof rats and other household pests cause the most problems this time of year because they are trying to escape the cold weather. 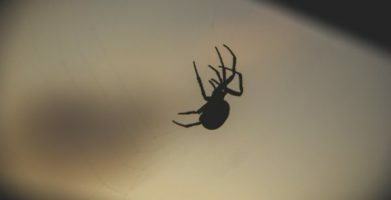 Attics, drop ceilings, and inside walls are a few of their favorite places to infest. Roof rats are a little smaller is size than their relatives, Norway rats (aka the city rat), but they are just as big of a problem. Find out how to tell the difference between these furry intruders. Then we’ll tell you what you need to do to keep them outside where they belong. Why is it called a Roof Rat? 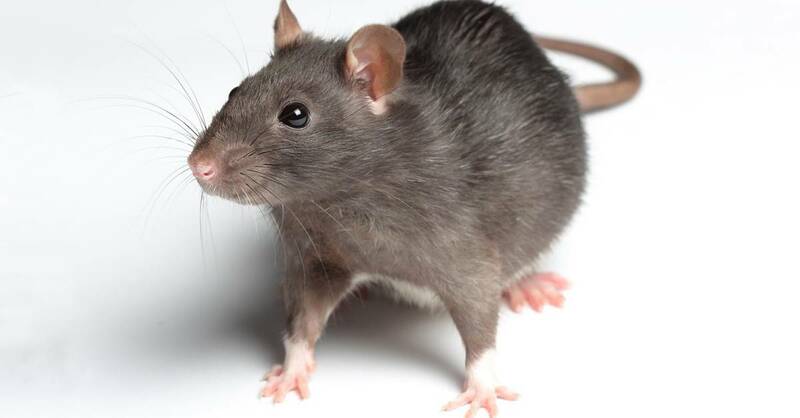 Rattus rattus, the roof rat’s scientific classification, is actually known by many names: black rat, ship rat, and a few other ones we don’t dare repeat! These pests first came to America on sailing ships, and can sometimes (but not always) have black fur. They are most commonly encountered in the upper areas of homes, barns and warehouses. Roof rats also favor agricultural crops, trees, and even utility poles and lines. You can tell the difference between a roof rat and other rodents by both its appearance and its preferred living quarters. They are smaller than Norway rats, but larger than mice. Roof rats usually weigh about a half pound with an average body length that is just over 4 inches and a tail of equal length. Their long tails give them excellent balance to run along power lines, tree branches, or eaves inside a building. Their sleek bodies help them move very quickly and escape danger. Living the high life gives these rodents easy access to their favorite foods like fruits and nuts from trees. If you’re still not sure if the pest you’re dealing with is a roof rat, keep an eye out for any caches of stored food. Look for greasy rub marks near the rooftop and trailing down along the wall. These rats are known for hoarding food in different places throughout their territory. The grease marks are made when their oily fur brushes the wall or any other object along the paths rats travel. The reason you’re seeing rats. A rat infestation can happen to anyone. Rats and other pests want the same things we do: food, water, and shelter. So if you eat food in your home, have indoor plumbing, or enjoy temperature control, you are susceptible to rodent infestations. The roof rat in particular is more likely to appear in warmer climates such as southern states along the East Coast, the Gulf, and the Pacific coast. Landscaping designed with thick vegetation for privacy or fruit trees and fountains to attract song birds also attracts roof rats. Rats are are omnivores and can feed on almost anything. They are especially attracted to dog and cat food. While their eyesight is poor — they are color blind and can only differentiate between light and dark — they have a keen sense of smell. They rely on their sense of smell to identify other rats and detect danger. Rodents can also sniff out food, and use scent markings to leave a trail between their nests and the best places to eat. They probably think those fresh baked Christmas cookies smell just as delicious as you do! A safe and easy way to repel rats. Getting rid of rats is good but preventing an infestation before it begins is better. Remember the things household pests are attracted to and then make your home less attractive to them. Start by storing food in airtight containers. 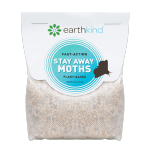 This includes cereals, pasta, nuts and other pantry items, as well as pet food, bird seed, and even seeds for your garden. Don’t forget to store leftovers properly and quickly clean up crumbs and spills. Next, seal potential entry points rodents may use to get inside your house. Roof rats can enter through an opening that is only ½ an inch big. A close inspection of your home, particularly around the roof is essential. Remove vines that grow along your home and trim overhanging tree branches so rats cannot climb them to get inside. Finally, use their natural strengths and weakness in your favor. 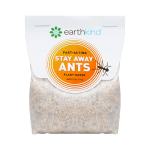 You already know these little pests have powerful noses, so place our scented Fresh Cab pouches in rat prone areas. Fresh Cab is made with essential oils, so it is causes no harm and leaves a fresh scent behind — a scent that is overwhelming to rodents. You’ll enjoy the balsam fir fragrance. Rats and mice will run in the opposite direction because they can’t find the scent trails they used to follow or detect other rats and predators in the area anymore. Life will be a little sweeter knowing that you’re free from rats. I’ve heard about rodent birth control products that can reduce and eliminate rodent populations including roof rats. Might this be a way to reduce the rat problem? There has been some speculation about this topic but as far as we know, it hasn’t been a widely adopted practice. Even if ‘rodent birth control’ proves to be an effective way to reduce the rat problem in some areas, we do not know of any treatments that are commercially available. While public health departments may have more resources for integrated pest management programs, the best thing you or I can do is practice common sense rodent proofing and prevention. Roof rats and other household pests cause the most problems this time of year because they are trying to escape the cold weather. 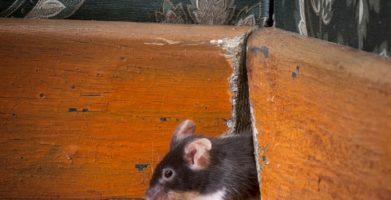 Attics, drop ceilings, and inside walls are a few of their favorite places to infest. Roof rats are a little smaller is size than their relatives, Norway rats (aka the city rat), but they are just as big of a problem. Find out how to tell the difference between these furry intruders. Then we'll tell you what you need to do to keep them outside where they belong. Rattus rattus, the roof rat’s scientific classification, is actually known by many names:  black rat, ship rat, and a few other ones we don’t dare repeat! These pests first came to America on sailing ships, and can sometimes (but not always) have black fur. They are most commonly encountered in the upper areas of homes, barns and warehouses. Roof rats also favor agricultural crops, trees, and even utility poles and lines. You can tell the difference between a roof rat and other rodents by both its appearance and its preferred living quarters. They are smaller than Norway rats, but larger than mice. Roof rats usually weigh about a half pound with an average body length that is just over 4 inches and a tail of equal length. Their long tails give them excellent balance to run along power lines, tree branches, or eaves inside a building. Their sleek bodies help them move very quickly and escape danger. Living the high life gives these rodents easy access to their favorite foods like fruits and nuts from trees. A rat infestation can happen to anyone. Rats and other pests want the same things we do:  food, water, and shelter. So if you eat food in your home, have indoor plumbing, or enjoy temperature control, you are susceptible to rodent infestations. The roof rat in particular is more likely to appear in warmer climates such as southern states along the East Coast, the Gulf, and the Pacific coast. Landscaping designed with thick vegetation for privacy or fruit trees and fountains to attract song birds also attracts roof rats. Rats are are omnivores and can feed on almost anything. They are especially attracted to dog and cat food. While their eyesight is poor -- they are color blind and can only differentiate between light and dark -- they have a keen sense of smell. They rely on their sense of smell to identify other rats and detect danger. Rodents can also sniff out food, and use scent markings to leave a trail between their nests and the best places to eat. They probably think those fresh baked Christmas cookies smell just as delicious as you do! Finally, use their natural strengths and weakness in your favor. You already know these little pests have powerful noses, so place our scented Fresh Cab pouches in rat prone areas. Fresh Cab is made with essential oils, so it is causes no harm and leaves a fresh scent behind -- a scent that is overwhelming to rodents. You'll enjoy the balsam fir fragrance. Rats and mice will run in the opposite direction because they can’t find the scent trails they used to follow or detect other rats and predators in the area anymore. string(33) "Pest of the Month:  The Roof Rat"